The US Department of Energy confirmed that Air Flow North America can now export 22,000 gallons of LNG per day to countries that not have a Free Trade agreement with the USA.This Houston based company is the American subsidiary of Air Flow, a group specialized in gas services who exports worldwide cryogenic gases (LNG, Liquid Argon, Liquid Co2, Liquid Nitrogen…). LNG will be loaded in the new 40’ turbo containers specially designed for liquid cryogenic gas transportation. Full with 10,000 gallons of LNG, the iso will then be trucked to Houston seaport in order to be exported via cargo vessel to final destination. 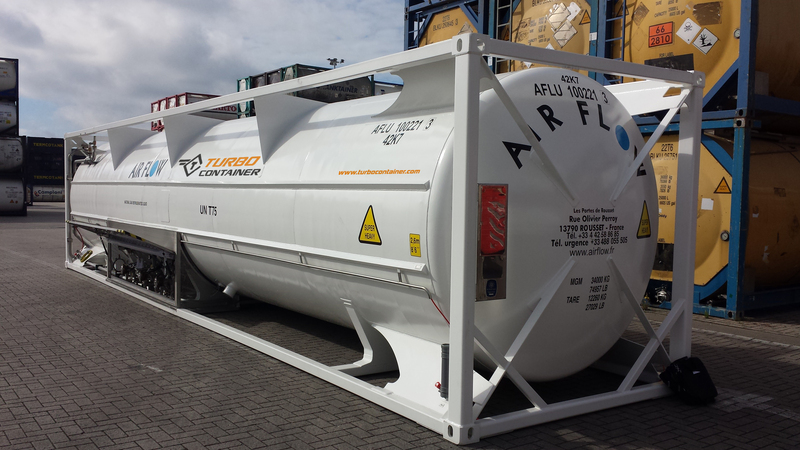 “With this recent authorization and the highly performant turbo containers, Air Flow is keen to supply LNG on a wider range of countries, Air Flow is already considered as a world leader for small scale supply of cryogenic gases. We are pleased to extend our gas services to NFTA countries and to meet the growing demand for renewable and cost effective energy.” said Pierre FIAT, Air Flow CEO.